The Royal College of Obstetricians and Gynaecologists (RCOG) today released their Each Baby Counts 2018 progress report, which is intended to improve maternity care and reduce potentially avoidable deaths and serious harm to babies during birth and in their first seven days. The report found that different care might have led to a different outcome in almost three quarters of stillbirths, neonatal deaths and severe brain injuries included in the review. Worryingly, in almost half (45%) of the affected babies, guidelines and best practice were not followed. Reasons for this included gaps in training, lack of recognition of problems, and local guidelines not being based on best available evidence. There has been an increase in parents invited to be involved in reviews of the incidents (41%), however 22% of parents were not even told that a review was taking place. In the one case reported where group B Strep infection was mentioned, the mother had clear signs of sepsis with a temperature persistently over 39°C – existing guidelines were not followed: blood cultures were not taken and antibiotics were not prescribed to the mother. The baby was admitted to NICU with moderate–severe neonatal encephalopathy and group B Strep sepsis. The report makes a number of recommendations which, if implemented, will improve care and should prevent future baby deaths and brain injuries. We strongly support the report’s recommendation that there be a clear policy to ensure that local guidelines are updated in line with national guidance. It is incredibly disappointing that this report has found relatively little progress in terms of improving care, and that hospitals and staff are not following established guidelines. 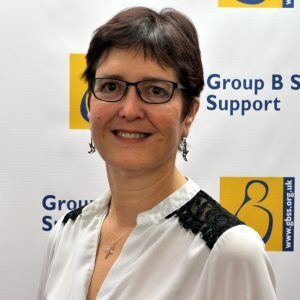 Feedback from families demonstrates that many hospitals have not yet adopted the latest recommendations from the RCOG’s group B Strep guidelines, despite their being a major improvement in the fight against GBS infection in babies. We strongly encourages hospital to review and update their guidelines on group B Strep during pregnancy and after birth. This will save lives.